Canada is facing Illegal Immigration crisis. For the first time in Canadian history there are more people illegally entering the country than there are legally seeking asylum. This is a major issue because of the sheer number of illegal migrants crossing into Canada. Just in first few months of 2018 and end of 2017 nearly 25,000 illegal immigrants, equal to a size of a town population on the border crossed over into Canada. The number of illegal border crossings in Canada will soon surpass the 25,000 Syrian refugees Canada accepted in 2016. The Royal Canadian Mounted Police intercepted 7,326 people at the border between April and July, according to official figures. For many countries, the primary gap in securing both internal and external borders is the ability to objectively screen a person using a knowledge-based form of identification. Security experts are unanimous in their assertion that with documentation ‘gaps’ and missing information to properly vet who should be admitted and who should not. How do you screen people from a war-torn country that has few criminal and terrorist databases to check? The existing biometric devices and visa processing methods can help to the extent of verifying a person, but they cannot find the missing link between a person’s identity and concealed criminal information. The sheer volume of travelers and migrants poses a security challenge to be able to effectively vet each person with the level of detail it demands. iCognative is a ground-breaking technological innovation that uses memory related brain recognition patterns to equip law enforcement agents with a powerful intelligence collection solution. This advanced investigative facility offers rapid and accurate identification of criminals using specific brainwave response called ‘P300’ that has been thoroughly researched over decades and has been an established as a proven science. In cases of national security threats, the iCognative technology can aid agencies and officers in obtaining valuable and relevant information out of suspects. The resulting impact of a solution that aids investigation and intelligence collection disciplines is an expedited and improved judicial process leading to an increase in solved cases. This technological innovation empowers national security agencies and other law enforcement personnel in interrogation and investigation in corroborating suspects’ testimonies and cross-verifying information on suspects. A 45 minutes test with over 99% accuracy can differentiate between an innocents and a perpetrators. The involuntary brain response called P300 is the hallmark feature of the technology. The way the human brain functions fully eliminates all possible false positives, false negatives and countermeasures. 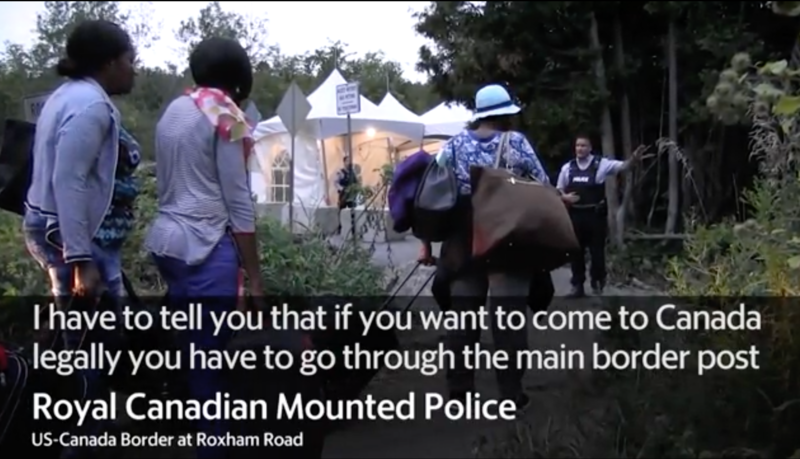 Royal Canadian Mountain Police and Canada Border Services Agency are confronted with this problem of illegal immigrant crisis that can be resolved by deployment of iCognative technology at all border towns such as Roxham Road border crossing where 95% of migrants enter into Quebec, Canada. With iCognative all suspicious migrants must first be thoroughly vetted to confirm that they are entering the country for right and not for wrong reasons. To differentiate between a true asylum seeker and a criminal or terrorist, iCognative test should be a required protocol for all border officers. In order to conduct a iCognative test, the officer must have case related investigation details such as: modus operandi of a specific gang member, drug cartel member; a terrorist organization sympathizer; possession of bomb making/IED knowledge; awareness of terrorist organization’s protocols, code names and code words used to communicate with others etc., can be used as stimuli to build a test. Brainwave Science iCognative technology taps directly into the source of all planning and execution – the human brain. Terrorists and Criminals can lie and beat the polygraph but when confronted with iCognative they cannot hide the information when their brains talk. The test is non-invasive, supports human rights and eliminates labor intensive interrogations. Within 45 minutes a Border Patrol Officer can determine if the person is a genuine asylum seeker, is a criminal or a terrorist. Powerful specific screening conducted with iCognative, when mandated for each person entering Canada, proves that technology to set a benchmark for all other investigations methods has finally arrived.